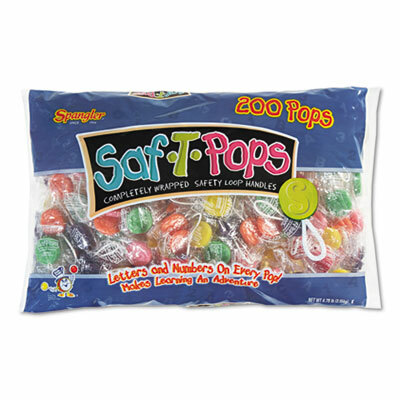 Individually wrapped lollipops with safety loop handles and letters and numbers on every pop. Great for toddlers and older. Individually wrapped lollipops with safety loop handles and letters and numbers on every pop. Great for toddlers. Click here to see more Candy, Gum & Mints!